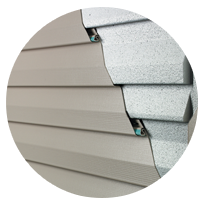 Our Prodigy® Insulated technology is an elite energy-efficient siding product. Perfect for the extreme Louisiana climate, this siding can save you money and keep your home comfortable year-round. Featuring a variety of style profiles (Single 7, D6 Clapboard, D5 Dutch Lap), Prodigy siding from Window World of Baton Rouge offers numerous ways to achieve the benefits of energy efficiency while upgrading your curb appeal. 4000 Energy Plus Vinyl Siding from Window World of Baton Rouge is strategically engineered to endure harsh conditions while maintaining its beauty, function and energy-efficient properties. 1-¼” inches of foam underlayment allow your exterior to maximize cool air in summer months and warm air through the cooler seasons. Our 4000 series is moisture resistant as well – ideal for the humid Louisiana climate. Our 4000 Reinforced Vinyl Siding is built for strength and endurance. Its advanced interlocking system helps it to withstand up to category 5 hurricane-force wind, rain and other harsh elements. Window World 2000 Vinyl Siding makes your life easier. 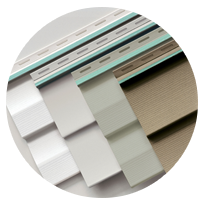 It’s tough to find another siding product with such quality and beauty, yet requires such little maintenance. 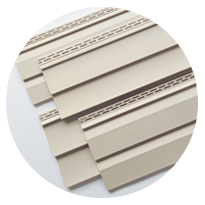 A .044”-thick locking pattern works to ensure rigidity and texture in the exterior wall, while the premium surface materials will look great year-round. Simply hose it off on occasion to keep it looking good as new. 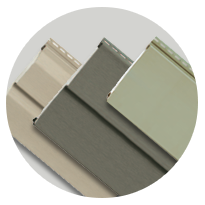 Window World’s replacement vinyl siding products are all backed by our lifetime warranty. Will vinyl siding increase my home’s value? Yes. New vinyl siding from Window World not only increases your home’s value, it also offers increased curb appeal and energy savings as well. Vinyl siding increases the curb appeal of your home and lowers energy costs. Can vinyl siding go over brick? Yes. However, you first need to add furring strips to the brick wall so the vinyl siding has something to attach to. © 2019 Window World of Baton Rouge. All rights reserved.